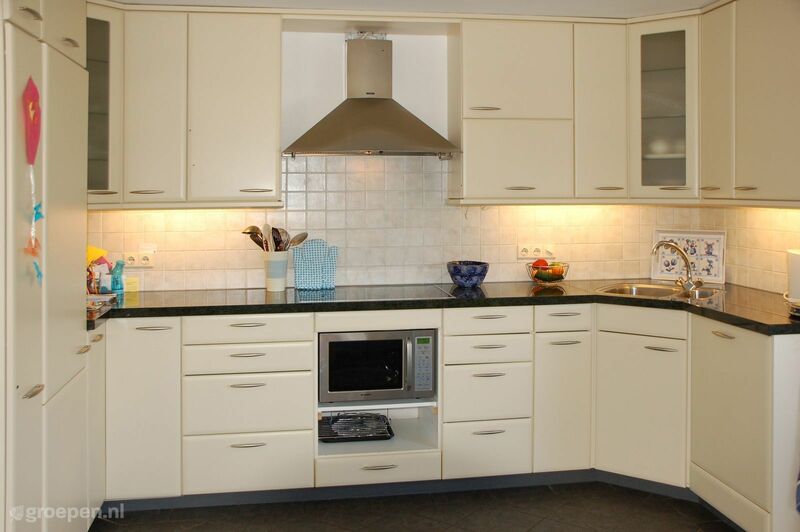 Spacious and modern 8-person accommodation, located on a farm in South Limburg. The accommodation comprises of a kitchen, a dining area, a sitting area, and a bathroom. The modern kitchen is fully equipped. 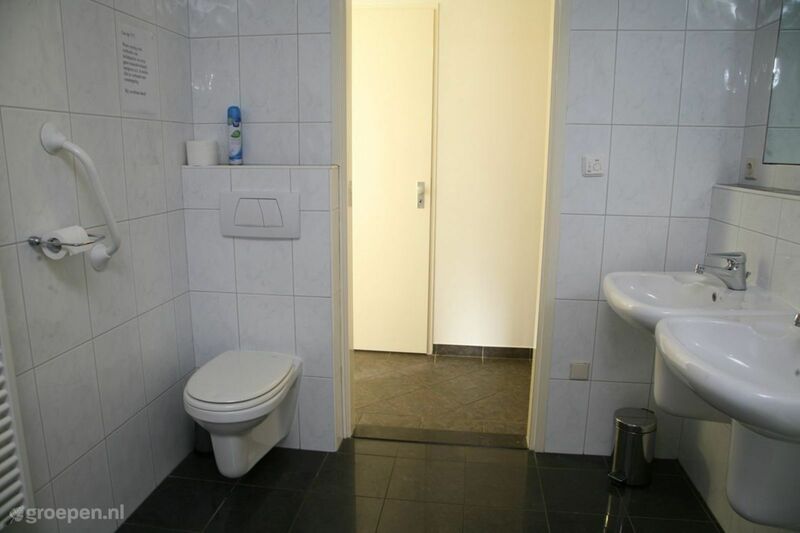 There is also a washing machine and drying machine, a digital television, and wireless internet. Outside, adjacent to the garden wall, there is a terrace with garden furniture. 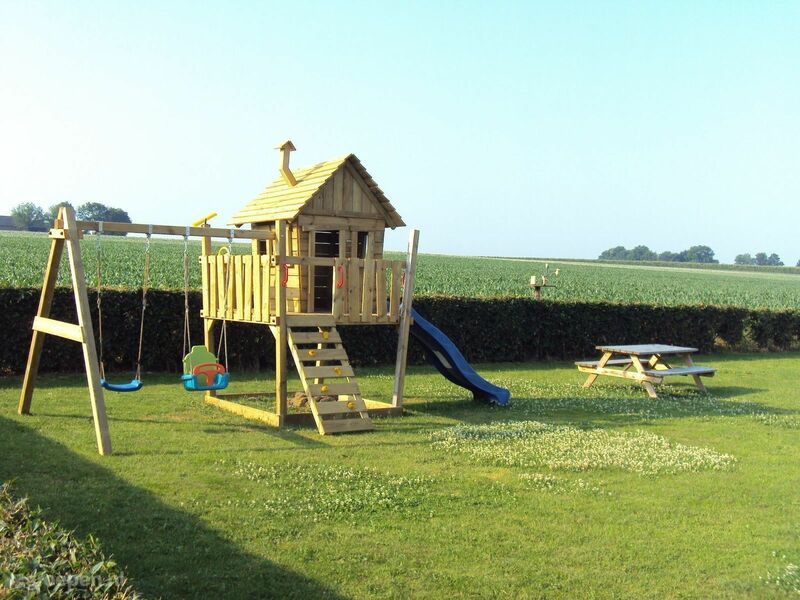 There is a large play set in the garden. There are 2 high/low beds available. There are also 2 cots and 2 high chairs. The house is situated on a hill between orchards, meadows, and fields, with a view of the hills of Limburg. 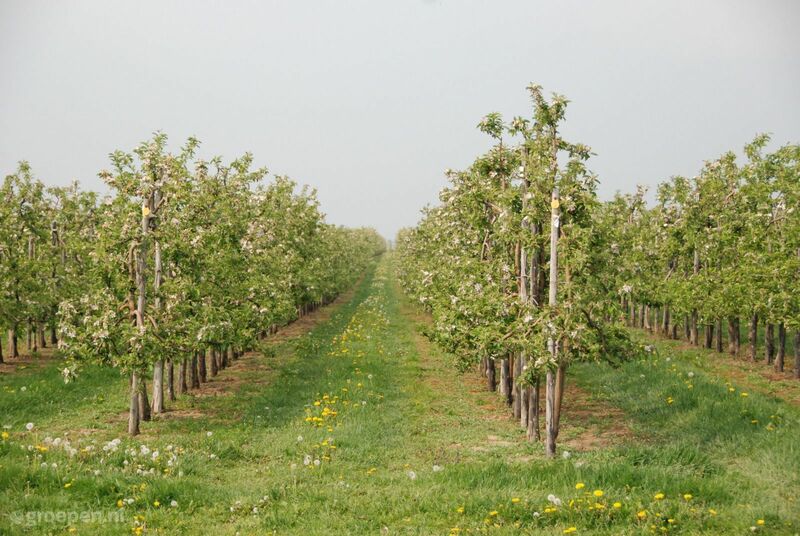 The rural environment offers peace and ample space. Hiking and cycling is possible in the immediate vicinity of this property. At 100 m distance, there is a carefully marked cycling route (cycling junction route ANWB). It is possible to store your bikes on the premises. The accommodation is approx. 3 km from the center of Voerendaal, approx. 7 km from the center of Valkenburg, and approx. 14 km from Maastricht. Our guests rate this accommodation with an average of 10. On the side you will find the latest 1 reviews. May 2017 - Friends - Anne S.